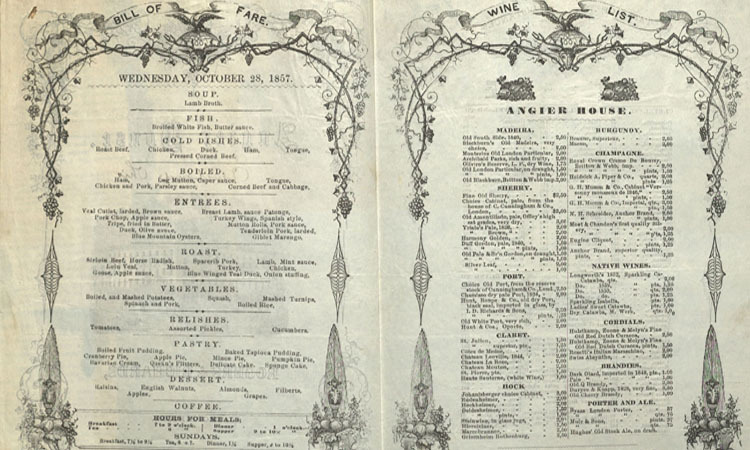 These mid-nineteenth century menus located in the Hospitality Industry Archives at the Hilton College of the University of Houston reveal a treasure trove of historical information. The menus relate not only the regional cuisine of the particular restaurant but also show some of the cultural and social norms of society. The menus are from hotel restaurants, stand-alone restaurants, and steamships. 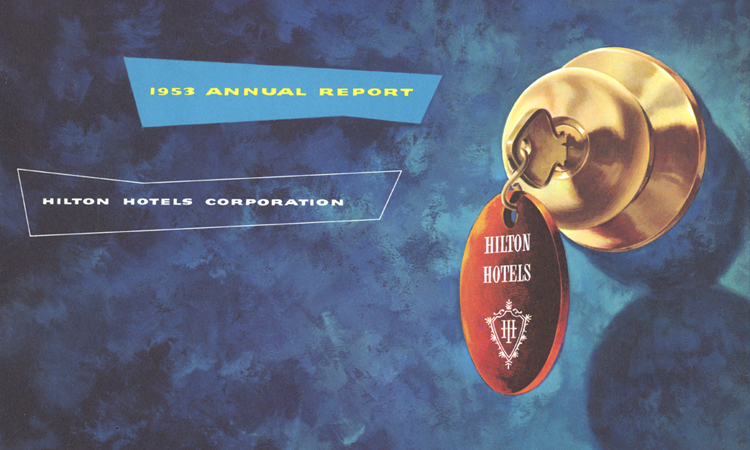 This digital collection highlights annual reports from the 1940s, 50s, and 60s, from three modern hospitality companies: Hilton Hotels, Sheraton Hotels, and the Hot Shoppes, later renamed Marriott Hotels. Through these digitized pages, one can learn about the dynamic history of these companies and their evolution into world-renowned leaders in hospitality. The annual reports provide a wealth of information related to their operation and the transition from small hospitality companies to large international corporations. For example, Hilton’s acquisition in 1954 of the Statler Hotel chain forced it to deal with monopoly issues and tax regulations for several years. The reader can also learn about the varied ways hotel companies raised money to fund the expansion of their hotel chains. Both Hilton and Sheraton had aggressive growth programs, both domestically and internationally. The international expansions also show the important role American companies played in the era of the Cold War. The technological revolution that the world experienced in the mid-twentieth century likewise is reflected in these annual reports. One unique issue that plagued the travel industry in this period were the costs of reservation centers and the long-distance telephone call, a problem that ceased to exist with the advent of digital communications. Other timely issues revealed in the annual reports include the commitment of millions of dollars to install air-conditioning systems in hotels and restaurants and the challenge of the “motor-lodge” to the traditional downtown hotel structure following the advent of interstate highways. The first Marriott, the Key Bridge Marriott in Arlington Virginia, highlights the growing importance of automobile accessibility to the hotel business. The annual reports also reflect the changing nature of American society in the middle decades of the twentieth century. Inside these reports are images revealing shifting consumer tastes and preferences in interior design and fashion. Advances in modes of transportation, from railroad, to propeller airplanes, to the advent of jet age are also shown, providing a unique glimpse into this dynamic period of American history. The original reports can be seen in the Hospitality Industry Archives located in the Conrad N. Hilton College of Hotel and Restaurant Management. This collection is comprised of a diverse array of books from the William R. Jenkins Architecture & Art Library’s Rare Books Room. Each one depicts a foreign land in etchings, photography, or sketches. Unlike typical travel literature, these books primarily evoke an exotic, picturesque locale in imagery. Some, like Fontainebleau, le Château: Album Artistique or Besley’s Eighteen Views of Devonshire (stamped Price One Shilling on the cover) are clearly travel souvenirs. Others, like Constantinople and the Scenery of the Seven Churches of Asia Minor, Illustrated, are scholarly works for an audience unlikely to visit the city of their own. The collection also includes an anonymous album of Victorian photographs taken in Edinburgh and inscribed by hand. The collection spans most of the 19th century, beginning with H.W. 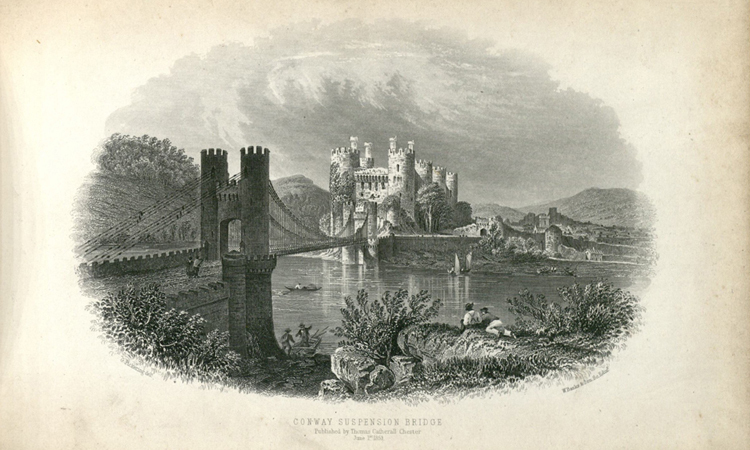 Williams’ Select Views in Greece, published in 1829. This digital collection features fascinating photographs of early 20th century India under British rule. 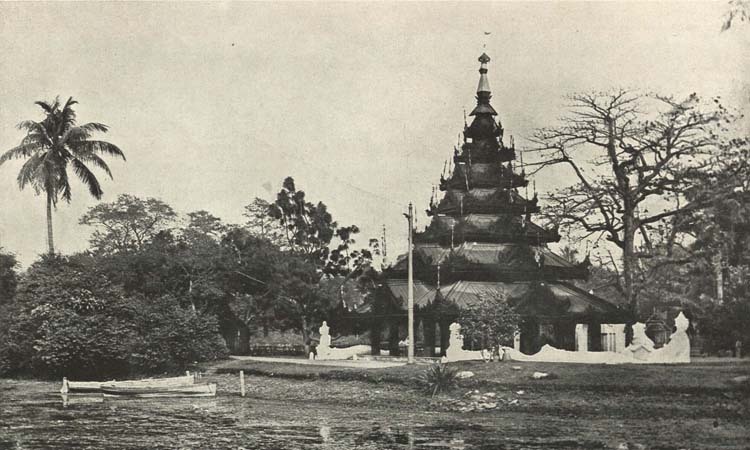 The 217 black and white photographs come from a rare book called India Illustrated: Being a Collection of Pictures of the Cities of Bombay, Calcutta and Madras, Together with a Selection of the Most Interesting Buildings and Scenes throughout India. The book was published by Bennett, Coleman, & Co., publishers of the English language newspaper Times of India, around the year 1905. Complete with captions and descriptions taken directly from the book, the images capture the full scope of India’s scenery: from cities to farmland; from rivers and beaches to jungles and mountains; from crowded streets to idyllic countryside; from Western-style cathedrals to elaborate Indian temples. Of particular interest are photographs of the majestic Taj Mahal and the historic Chepauk Palace, which was constructed in the mid-1700s. A handful of the photographs are set in the cities of Lahore and Karachi, in what is now Pakistan. Hallmarks of British colonialism are evident in images of the Madras Cricket Club, the Royal Bombay Yacht Club, the Adyar Club for golf and tennis, the Gymkhana Club, which hosted polo matches, and a top-coated huntsman leading a pack of hounds on a fox hunt. The collection also shows villagers engaged in a variety of daily activities, such as fishing, basket-weaving, harvesting the fields, and washing clothes on riverbanks. The original materials are available in UH Libraries’ Special Collections in India Illustrated: Being a Collection of Pictures of the Cities of Bombay, Calcutta and Madras, Together with a Selection of the Most Interesting Buildings and Scenes throughout India. This collection of 114 images from three books provides a view of life in the Middle East during the nineteenth century through colored and tinted sketches of the people and places of Afghanistan, Constantinople, and Jerusalem. The digital collection also includes pages of printed text highlighting descriptive passages about these areas. 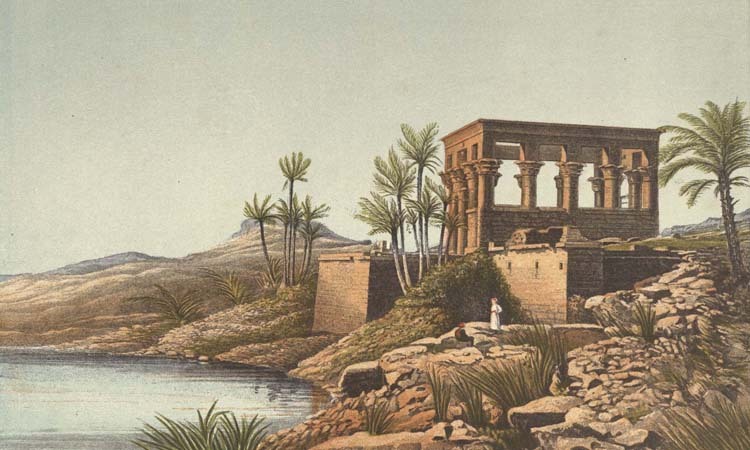 Of great artistic and historical interest, these illustrations have been culled from three rare books held by the University of Houston Libraries’ Special Collections: Sketches in Afghaunistan (1842), by James Atkinson; Lewis's Illustrations of Constantinople (approximately 1837), by John Frederick Lewis; and Sinai and Jerusalem; or, Scenes from Bible Lands (1870), by F.W. Holland. During this time period, Afghanistan found itself in the middle of the British-Russian conflict known as the “Great Game,” and James Atkinson’s sketches depict troop movements and scenes of conflict amid the country’s rugged landscape. The drawings by Royal Academy of Arts Associate John Frederick Lewis and the colorful illustrations by F.W. Holland capture a time when Constantinople and Jerusalem were part of the declining Ottoman Empire. The works offer a glimpse into the everyday lives of residents, as well as the regions’ natural beauty, ancient ruins, mosques, and other buildings. The original materials are available in UH Libraries’ Special Collections. 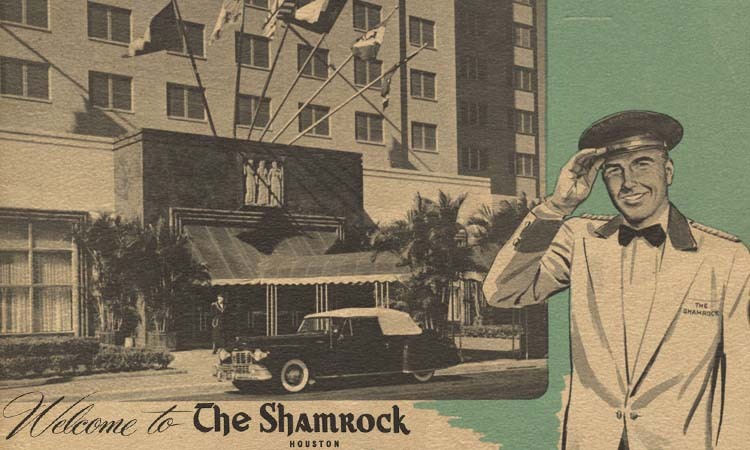 The Shamrock Collection consists of menus from the many restaurants, bars and lounges in the hotel, staff newsletters, and promotional pamphlets. It chronicles the transition of ownership and highlights of the hotel’s golden years. The Shamrock Hotel was the grandest hotel in the city of Houston from 1949 until its decline and demolition in 1987. Built by Glenn McCarthy (wildcatter and oil tycoon) between 1946 and 1949, it opened with great fanfare. Three thousand dignitaries, celebrities and the socially prominent were present for its grand opening on St. Patrick’s Day, March 17, 1949, attended by no less than Errol Flynn, Ginger Rogers and Robert Preston. The partygoers were brought in on a customized Boeing 307 Stratoliner and by a Santa Fe Super Chief train specially chartered by McCarthy. Approximately 50,000 people gathered outside of the hotel. While the hotel was immense, expensive and lavish, it was also considered by many to be garish and more than a little over the top. 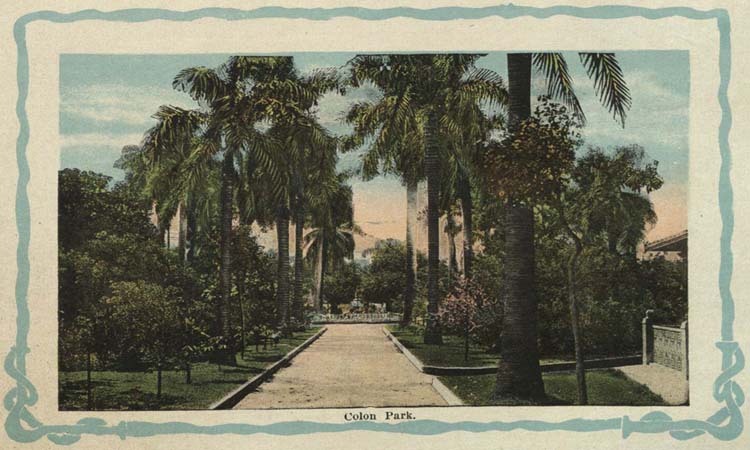 The hotel became a destination for Houstonians and played host to numerous social events such as debutante balls, receptions, business meetings, presidential visits and visits from other heads of state. The Shamrock hosted cattle auctions and also was a gathering spot for the Houston Rodeo. The hotel had 1,100 rooms and many restaurants, bars and lounges. Those who swam in the hotel’s huge swimming pool, which measured 165 by 142 feet, remember it fondly. The swimming pool even hosted water skiing exhibitions, complete with motorboats. The Hilton Hotels Corporation acquired the Shamrock Hotel in 1954. Burdened with a poor location, burgeoning competition and stagnant occupancy rates, its popularity declined. The hotel described in Edna Ferber’s novel Giant as the “Conquistador,” which saw performers such as Dorothy Lamour and Frank Sinatra grace its clubs, never fulfilled McCarthy’s vision of a destination resort, conference and shopping center.